We're committed to keeping your data safe and managing it responsibly. 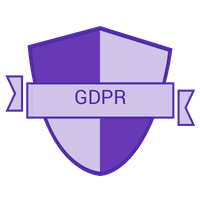 To that end, we're a strong supporter of, and are compliant with, the EU's General Data Protection Regulation (GDPR). The GDPR is an important piece of legislation that is designed to strengthen and unify data protection laws for all individuals within the European Union. In short, giving people better protection, transparency, and authority over how their data is managed. GDPR came into full effect on the 25th May 2018. We encourage you to review these policies in full, which apply to you and your continued use of Bidvine. If you have any questions, or would like to make a request regarding your data, feel free to drop us an email at support(at)bidvine(dot)com.